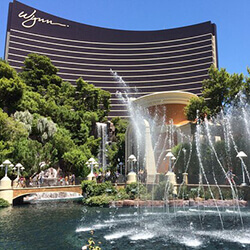 In August last year, Wynn Las Vegas and Encore began charging car-users for their self-parking garages, which affected visitors and hotel guests. The casino has recently announced that the parking fee will no longer be enforced for those that spend more than $50 in the venue. This can include money spent on gambling, drinks, food, or shopping, and drivers will be provided not only with free parking, but also a free valet service. The report also included a new policy that states that the $39 resort fee charged by both venues will include parking for the hotel guests and that groups visiting the venue can divide the costs among themselves if they arrive in more than one vehicle. In March, the Las Vegas Sands Corp raised its resort fees to $45 for both its properties, which included The Venetian and The Palazzo. A spokesman for Wynn Resorts reported that the company has no plans to increase current resort frees, and that it does not raise them on an annual schedule. Those that pay the fee are free to use a number of the venue’s facilities. This includes swimming pools, fitness centres, as well as business centres, which includes shopping and restaurants. They are also able to make use of the high-speed Internet offered by the resort, which is covered by the fee. Those purchasing the hotel are charged the fees regardless of whether they make use of the amenities or not.